Ivan Rakitic has made a note of Man Utd’s interest in him, and is seriously considering the possibility of joining their ranks in the summer. 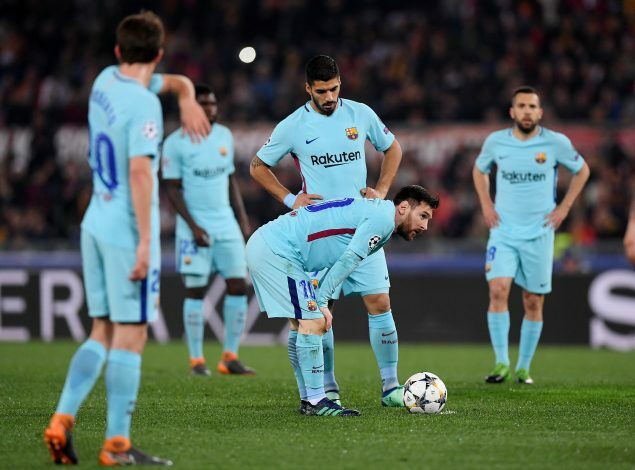 The Barcelona midfielder has been a crucial member of the squad since his move to the Nou Camp in 2014, and has been ever present in the first team this season as well. He has made 46 appearances so far, scoring and assisting four times each. With the club considering signing new players in the summer, his role may be reduced next season though, and this has made him consider the possibility of moving on. Jose Mourinho is determined to improve his defense and midfield in the summer, and Rakitic has been identified as a potential replacement to the outgoing Michael Carrick, who will retire at the end of the season. According to Spanish news outlet Diario Gol, the Croatian midfielder is interested in the move to Old Trafford, but will first seek assurances about his role in the Barcelona squad next season. The report also suggests he has informed the Red Devils that he will not confirm his decision for at least another month. Having been a part of the side that was embarrassed by Roma, who came back from 4-1 down to win 3-0 at the Stadio Olimpico and go through on away goals, the 30-year-old’s sole focus is on helping his side win the domestic double.